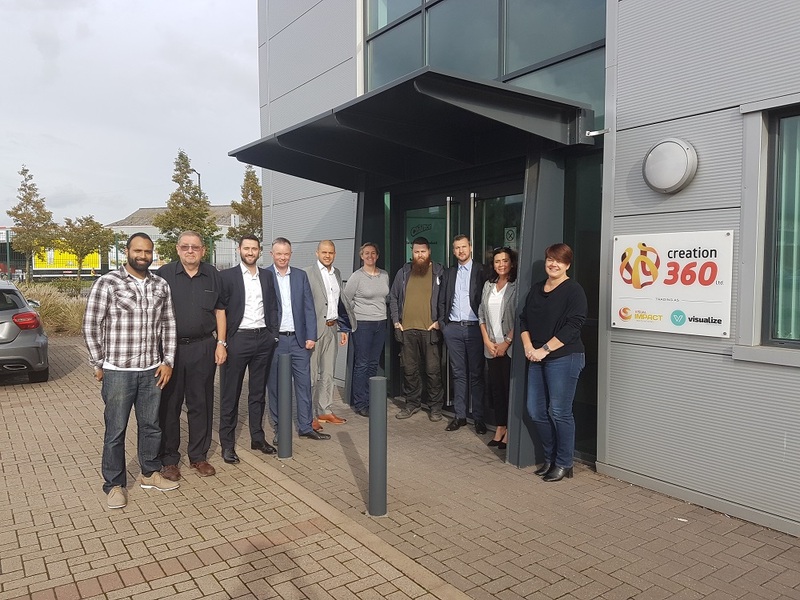 Product design agency Creation 360 plans to develop a new mobile solution for the hospitality and leisure industry after receiving £250,000 from NPIF – Maven Equity Finance, part of the Northern Powerhouse Investment Fund and managed by Maven Capital Partners. Founded in 2014 by Kevin Coleman, the Manchester-based firm develops, designs and delivers bespoke promotional merchandise and display solutions for Fast-Moving Consumer Goods (FMCG) brands such as Coca Cola, Hilton Hotels and Vimto. The funding, which was part of a larger round totalling £750,000. The company will use the money to expand operational capacity through the development of AuditCloud, its digital platform solution for the hospitality and leisure industry. The mobile solution records, consolidates, analyses and reports multiple customer-related data streams in real time, with the beta product being used nationally by both Hilton Hotels and Bourne Leisure. In addition to this, the funding will also fuel a recruitment drive, creating 11 jobs in the Greater Manchester area as the demand for products grows. Creation 360 will also enter a three-year Knowledge Transfer Partnership (KTP) agreement with Manchester University to further develop the next generation AuditCloud platform that will analyse all social media feeds and report on negative comments. The investment from NPIF will be used to launch AuditCloud and help grow the product’s reach using the KTP. Jim Darlington, Investment Manager at NPIF – Maven Equity Finance, said: “We are delighted to support Creation as it seeks to expand its presence with its new and innovative AuditCloud product. Kevin and the team have exciting plans to grow the business and we are optimistic about the interest AuditCloud will generate in the marketplace. Greater Manchester Combined Authority Lead for Resources, David Molyneux said: “In Greater Manchester we’re proud to support innovative local business to create jobs and grow here. The Greater Manchester Loan Fund has a strong track record, supporting 33 local businesses and helping to create 400 jobs in the city-region. Sue Barnard at the British Business Bank said: “The Northern Powerhouse Investment Fund can provide much needed stimulus to businesses in the North, with the investment in Creation 360 being a prime example of this. Through this new line of funding, the company is now able to bolster its headcount and develop its products further. We are very much looking forward to seeing how the business progresses following this investment”.